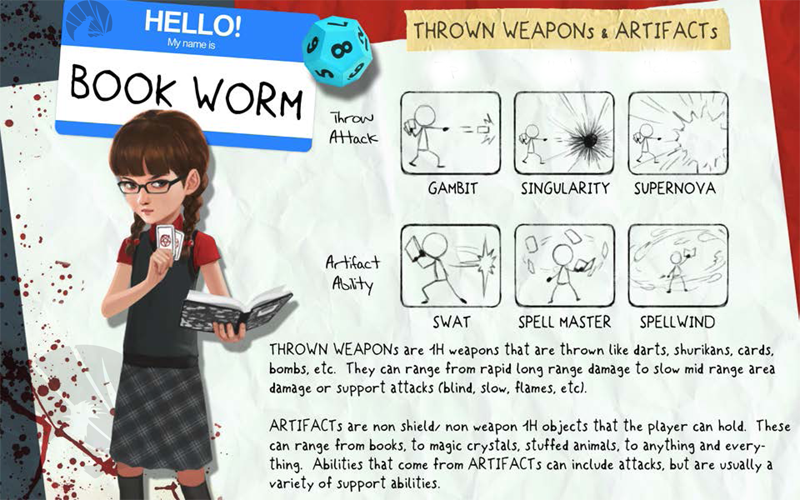 Today we'd like to introduce you to a couple more of the classes in Zombie Playground: a hand to hand combat master, the "Brawler," and a casting, mage class, the "Bookworm". Again, this is early work and is all subject to change. We know these characters are in the higher tiered milestones, but are refusing to give up hope they can be reached. We can dream right? Very nice -- do want! More class's are always nice to see! Is it bad that I instantly recognized that die as a D12 just by the shape? I'm totally gonna play the bookworm class! I love magic classes! I this n I really hope you guys get the funding u need! awesome classes we got 2 class to pick and more will be added later on. I Can't choose which one I love more!! Great ideas. I love how the bookworm, who would likely be very intrigued by the idea of casting spells, is essentially a wizard. I love you guys even more now thanks to the Gambit reference. I seriously hope this gets the funding it needs. D12? She's either a Barbarian or rolling ax damage. 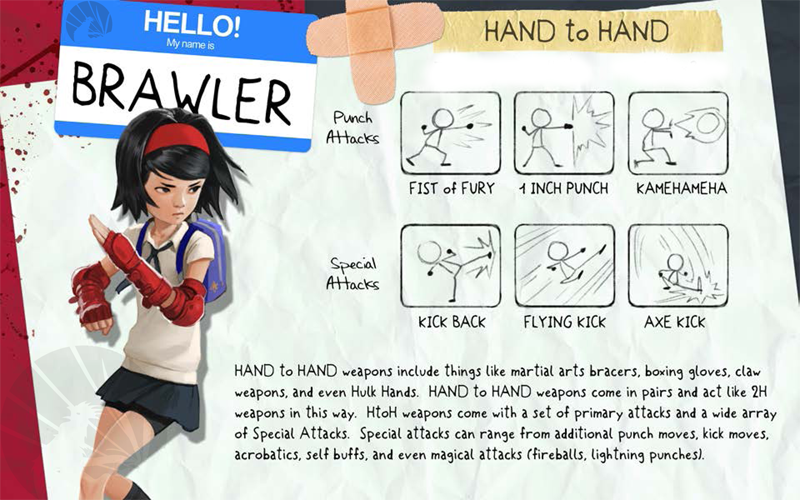 Regarding Brawler , i'm not sure about the term 'Kamehameha' for her fireball , i think describing it as an Hadouken , will fit better . The Street Fighter reference will be more than welcome in a video game for a bare hand fighting character . I agree, plus it's a little faster. But the Kamehameha! It's like fitting in a way too!!! I think it would be cool if the Brawler could grapple with the larger monsters. Like a big monster swings their axe down and the brawler catches it by the blade and you have to mash the grapple button to break their attack and put them in a dizzy state for a few seconds. @danteole the game isn't out yet. These are pre-release notes. The alpha will go up soon, but only certain backers can play. Hi Victor44, it's not released just yet. We will likely be beta testing very soon, (we're hoping at latest by next month sometime, so keep checking back if you are interested in helping us test as there could be extra keys given out at that time. Sweet! I'd love to help be beta tester!